How should I write my content? (Entry was posted by Trent Studios on this post in the Dumb SEO Questions community on Facebook, Thursday, November 29, 2018). Hello, everyone. I`ve been watching Yoast`s video tutorials on Cornerstone articles. For those that offers services, such as construction, do you think it`s better to have, for example, a basement remodeling cornerstone article, then a separate basement remodeling article that talks about and sells the basement remodeling service, then yet another separate basement page that has a contact form so people could hire the company? or combine the basement remodeling services page with the basement remodeling Contact form page? or just have separate cornerstone articles for each service and they all link to a generic contact form/page? 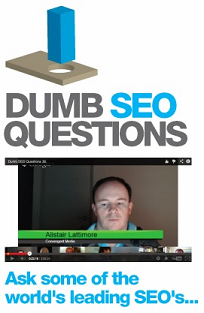 View original question in the Dumb SEO Questions community on G+, Thursday, November 29, 2018). How many words do I need to beat my competitors? How important is log file analysis for seo? How do I find the back links that may be doing me harm?